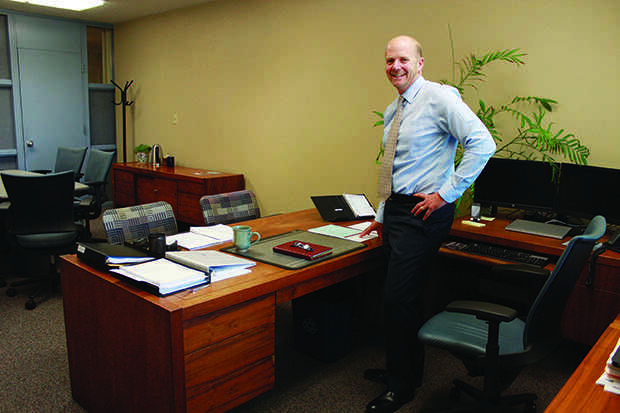 American River College President Thomas Greene will not even be a month into his new position when the Fall 2014 semester begins, but he said he is already taking steps to connect with the staff and students of ARC to recognize the challenges the school may face. Greene, who most recently worked at Lake Tahoe Community College as the vice president of academic affairs and student services, said that making lasting connections within the local community will help ARC see continued success and enrollment. President Greene worked within his community in Lake Tahoe to encourage students as young as middle-school aged to seek a higher education after high school. He plans to continue that work with ARC feeder schools as well. This year ARC faces accreditation, which is a peer-based process designed to review the continual improvement of a college’s quality of education. Greene said he is confident that ARC is a strong institution and is prepared to be analyzed. “I see [accreditation] as an opportunity to assist all of us in learning about our organization, to identify and celebrate the things that we do extremely well and also use that process to continue to identify those places that are opportunities to improve, learn and even do better,” said Greene. “Institutions that know that they’re doing a good job and are invested in having their energy focused on doing the right things tend to look at accreditation that way,” he added. Greene hopes to leave behind a trail of influence with his work. Greene has worked within the Los Rios Community College District before as the associate vice president of enrollment and student services at Sacramento City College, which he said is helping to familiarize himself with the system here in Sacramento. Be the first to comment on "ARC’s newest leader"